Nokia’s fresh new spots feature uber cool headphones. Nokia’s new Music Almighty ads broke a couple of days ago. They were done by Fabian and Ida, really nice work, must have been great fun to make. War tech phones? 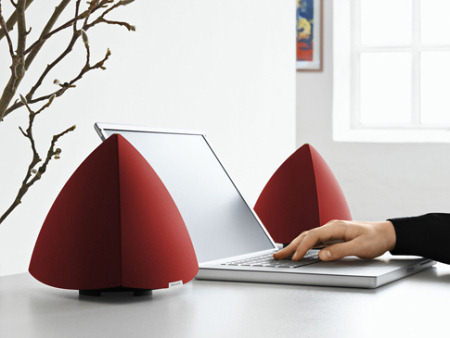 No, it’s just the new Sony Personal Field Speakers. Sound loud and around! You can even feel the bass in your brains! Sony redefines the world of sound with its new 2007 PFR-V1 Personal Field Speaker that mimics audiophile grade front-facing speakers. First in the industry (and the world) to separate bass from mid and treble frequencies so that users can hear even better sound. Bass sounds are reproduced through a new “extended bass reflex duct” which extends directly into the ear canals. 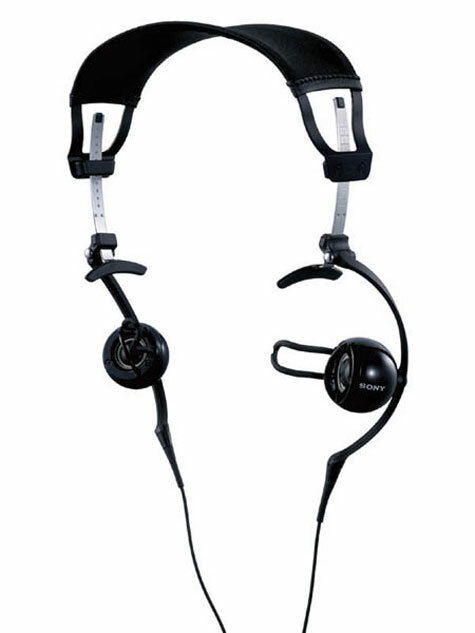 Avid hands-free headset users know the drill and no matter how sensitive the mic is, truth is the ear is just a tad too far away from the mouth. 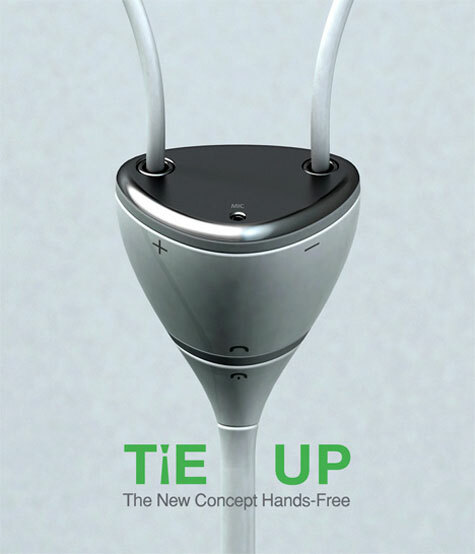 The Tie Up concept is a solve to that problem by placing the mic right below your mouth. Slide it up the lanyard to answer and conversely slide down to hang up. Romanywg’s white BEAThovens… a bit silly to put ipod/headphones on a deaf musician… unless you could dock yours and music would come out! These are ready to ship now. White with black ipod. Edition of 5. £150 posted in the UK. 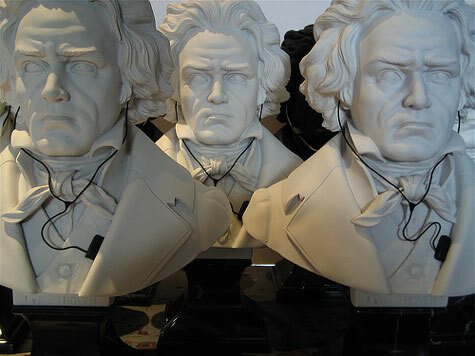 Hand made in England, from bonded Italian marble (with customised additions). 12″ high x 8″ wide x 4″ deep. Weight 3 Kilos (61/2 lb). 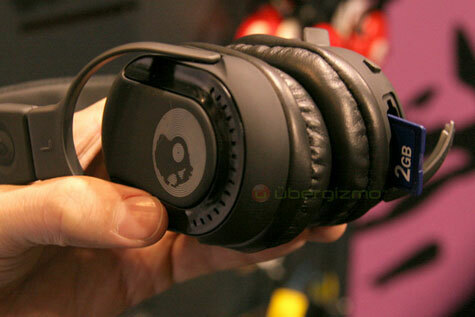 These new SkullCandy Double Agent headphones directly read from an SD card.They hold any size SD card, feature a rechargable battery, come in three colors, and have side controls. 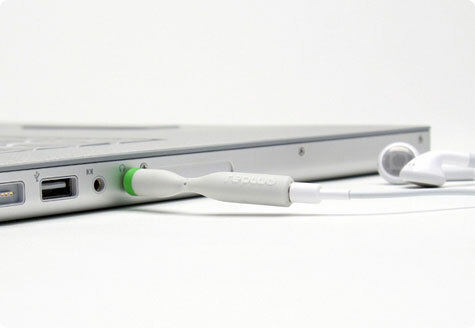 Replug transforms any 3.5mm audio jack into a breakaway connection, protecting your audio jack from the rigors of daily use. 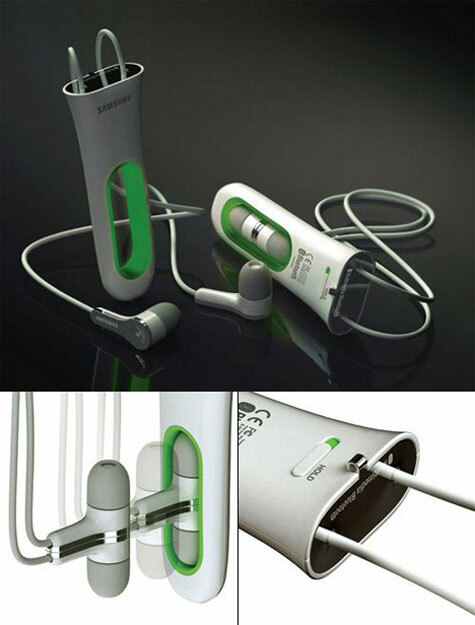 When too much force is appled, Replug simply detaches from itself, preventing catastrophic damage to your audio device. Simply reattach plug to tip and you’re ready to go. Jack saved. The new AKG® K 930 stereo headphones offer first-class entertainment, outstanding sound quality and exceptionable comfort. And because they’re wireless, the wearer’s mobility around the home is almost unlimited. 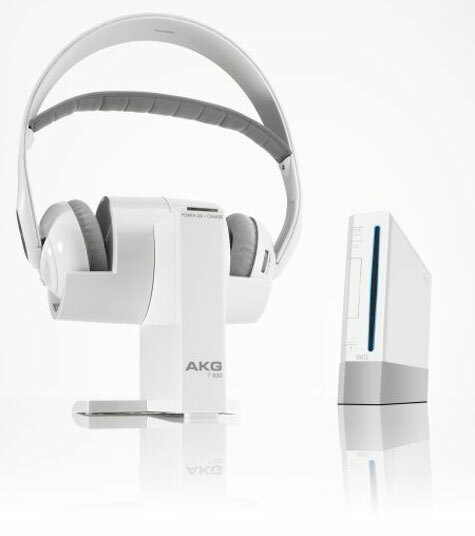 The headphones will be available in cool retro white or high-gloss black in stores in November 2007. Check out six, wonderfully colored sets of headphones. They all have high quality speakers, and they’re a touch or ten more hip than any others you might have seen.